What are the biggest mistakes drivers tend to make when preparing taxes? Not counting all their miles and deductions. The Self Employment tax on earnings and bonuses for drivers can be significant. The way to soften the blow of taxes is with deductions. For drivers, miles are going to represent the lion’s share of deductions, however, there are several other important, but less discussed deductions such as software subscriptions (e.g. Spotify) and an upgrade on your cell phone, the cost of your phone, and monthly bills. I typically place at least 50% of drivers’ cell phone bill into the business. 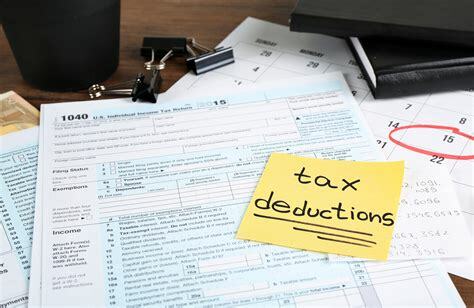 What are the top 3 things drivers need to do to maximize their deductions? Automate a large portion of the deduction tracking. This can be done with a bookkeeping solution such as Wave Apps and for mileage tracking, using an app like SherpaShare. Create a separate bank account or credit card for your business deductions. Separating business from personal is a critical step for any drivers looking to really increase their income. Get feedback. Compare your return with another driver, or better yet, have a professional look at your tax return to ensure you’re maximizing your deductions. What are some non-obvious deductions drivers can take? I think many drivers forget that car washes and cosmetic maintenance are deductible on top of mileage. Since most drivers have read the rule that either you can take the mileage deduction or actual costs, many think that means you can take mileage and nothing else, which is wrong. Drivers are usually better off taking the standard mileage deduction ($.58 per mile), vs. trying to capture all actual costs of operating their vehicle. Are there specific circumstances where it could make more sense to use the actual cost method? Yes, actual costs can be significant on premium vehicles where you take depreciation on a vehicle instead of the miles driven. There was also a rule that was included in the latest round of tax reform that any vehicle with a gross vehicle weight rating of more than 6,000 lbs can be expensed within one year. That means, that if you use a heavy vehicle 100% for business and it costs $50,000, then you can deduct $50,000 worth of costs. That is going to be better than mileage. When should independent contractors file taxes? Independent Contractors must file with everyone else on April 15. In addition, those with self-employed earnings must make quarterly payments with the Q4 deadline being Jan 15. You’re subject to this rule if you expect to owe more than $1,000. Other Words of Advice for Drivers? Drive safe, stay organized, and don’t worry about taxes. You can likely get to answer that works from a tax perspective. But if you want to maximize your return, consider hiring someone who sees 100-200 of your same kind of returns, to find out where you can find more deductions.